How do I Troubleshoot Norcold 838EG2 Refrigerators? What Causes My Freezer to Be Too Warm? What Can Cause a Refrigerator Not to Get Cold? 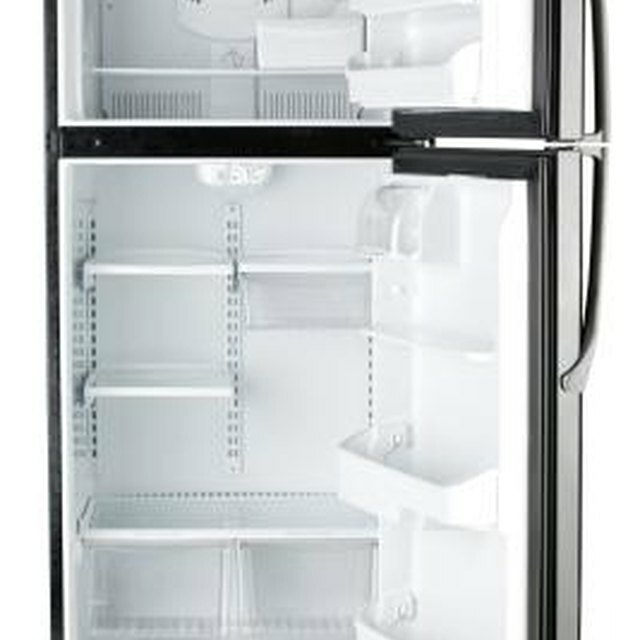 GE Upright Freezers are a popular choice for people who buy a good deal of frozen food and need extra storage for it all. The upright version allows for easy access to all of the freezer's contents. They tend to be easier to organize than a chest freezer. Problems, however, may still arise with your GE Upright Freezer. Check to see if the temperature control is in the OFF position if you don't hear the freezer operating. The motor will also not operate for about 30 minutes when the freezer is in the defrost cycle. If you do not see an interior light when you open the door, make sure the freezer is properly plugged into an electrical outlet. A blown fuse or tripped circuit breaker may also be the problem. The freezer, alone, should not trip the breaker. If it does, you'll want to contact a professional to come look at your home's electrical system. Move the temperature setting to a colder level if the freezer is not cold enough. The temperature control is in the inside of the unit, typically on the back wall. The control goes up from 1 to 9, with 9 being the coldest. Begin at 5 and adjust as needed to suit your needs. You can check the freezer temperature by putting a container of ice cream inside. If it is too soft after a day or two, adjust the temperature to a colder setting. Opening and closing the door frequently will also allow cold air to escape, making the freezer interior warmer than normal. Warm weather can also be a factor. Check to make sure that a food item is not blocking or hindering the door from closing tightly. Check to see if the automatic ice maker power switch has been accidentally set in the OFF position if the ice maker is not working. The ice maker may not work in a freezer that is not cold enough. If the cubes have piled up and are blocking the opening where the cubes drop, the ice maker may shut off, so try leveling the cubes with your hand. Check to see if the temperature control is set to the coldest setting if the freezer motor operates for long periods of time or cycles on and off frequently. Try nudging the control little by little toward a warmer setting. The motor may also be in continuous or very regular use if large amounts of food have been placed in the freezer. Remember that this is normal for the freezer. Find the condenser and check to see if it needs to be cleaned. The condenser is located behind the decorative paneling at the bottom of the freezer. Make sure to unplug the freezer, then allow 30 minutes for the condenser to cool. Remove the decorative paneling by pulling it toward you. Loosen lint or dust with a soft bristle brush and a vacuum can be used to remove the dirt. Replace the decorative paneling and plug the unit back in when finished. Discard all old ice cubes if they exhibit an odor or odd taste. Wash the ice storage bin with soap and water. Check to see if there are any unsealed food packages in the freezer that may be transmitting the odd odor or taste. If the incoming water has a bad taste, you may want to consider adding a water filter. Always check manufacturer recommendations before making adjustments to your GE Upright Freezer. What Is the Hottest Ambient Temperature at Which a Refrigerator Will Work?